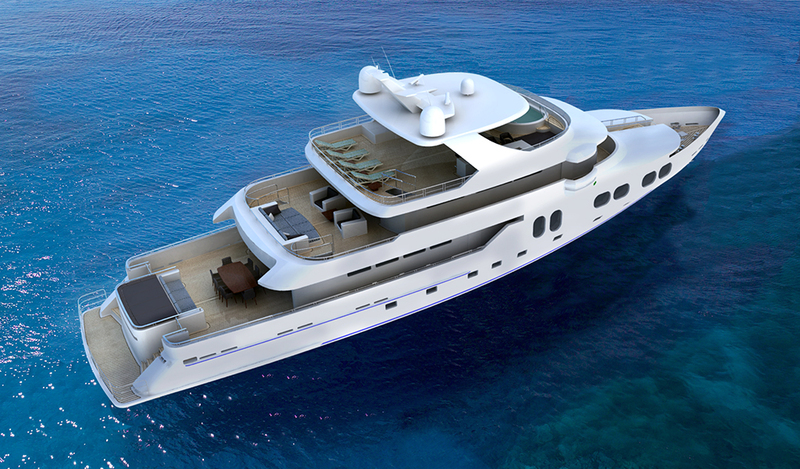 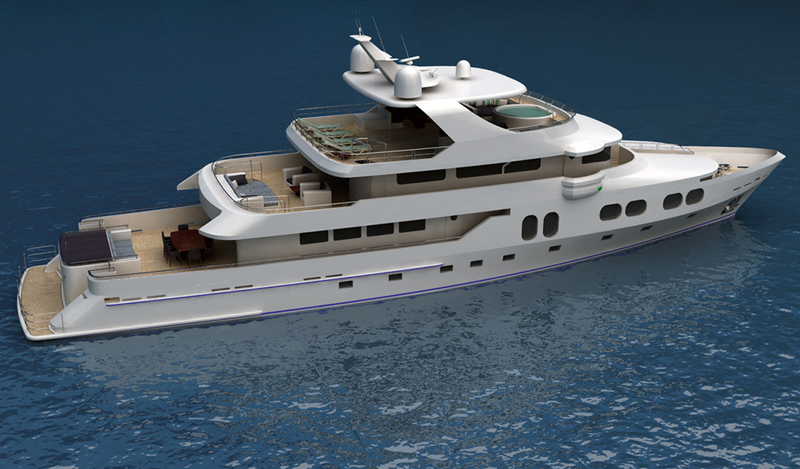 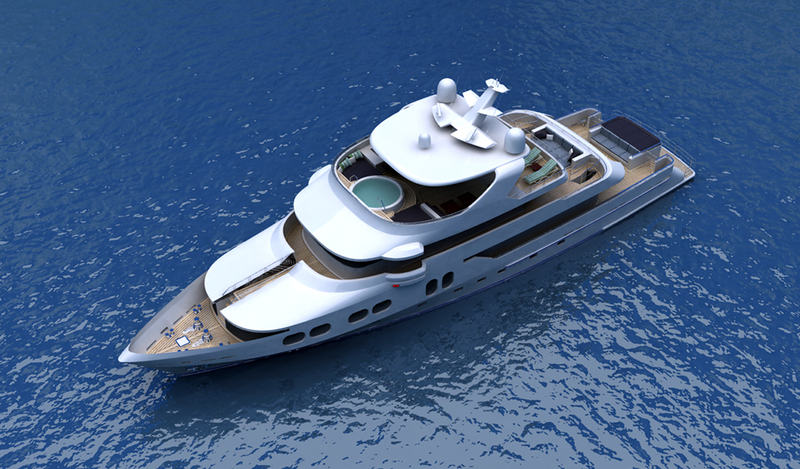 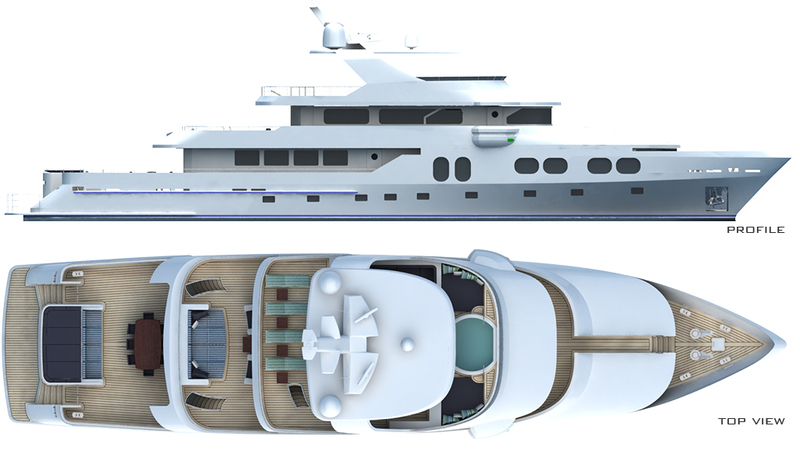 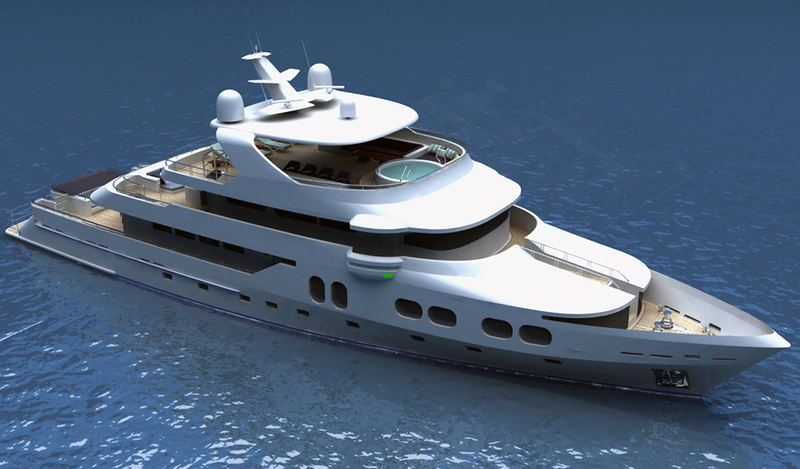 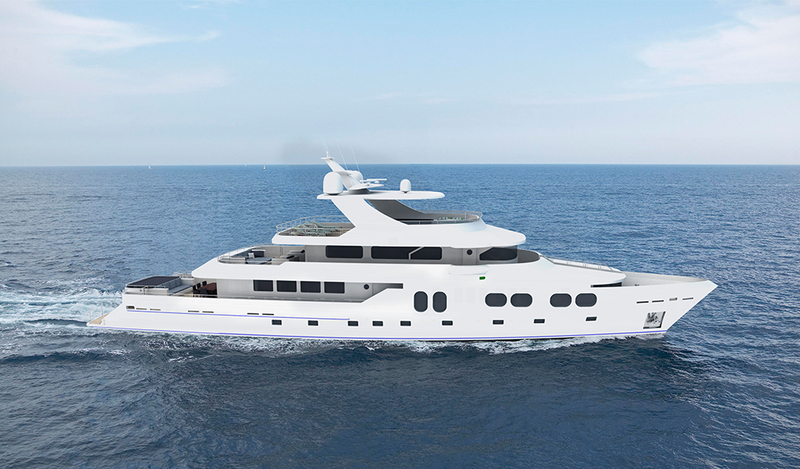 This beautiful 38m project is a trideck motoryacht. 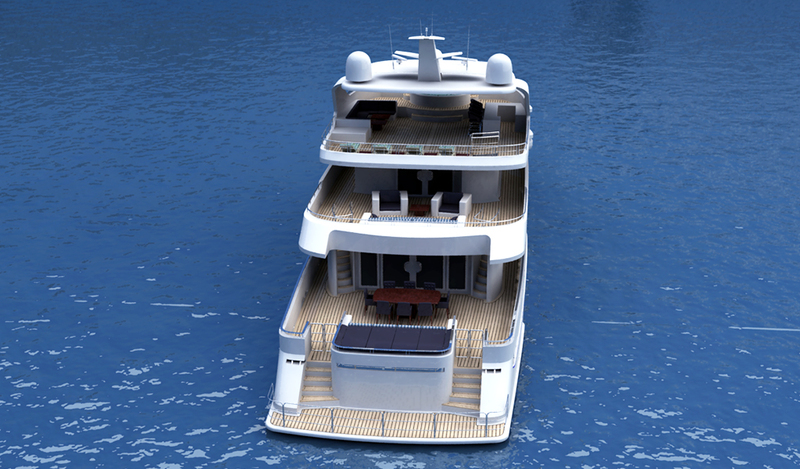 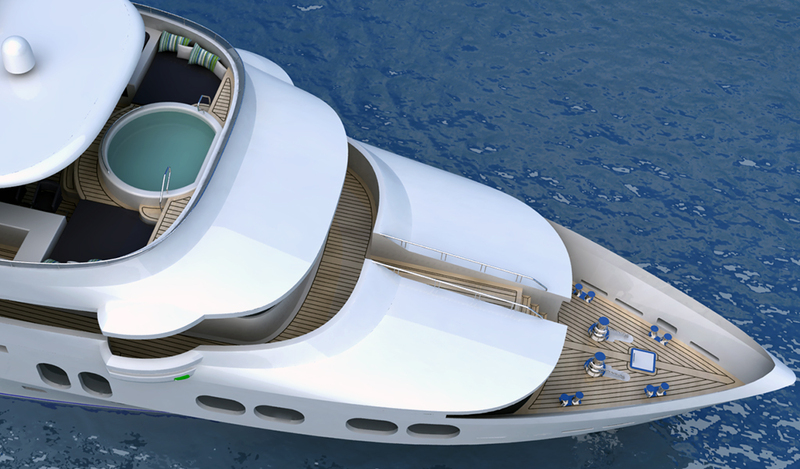 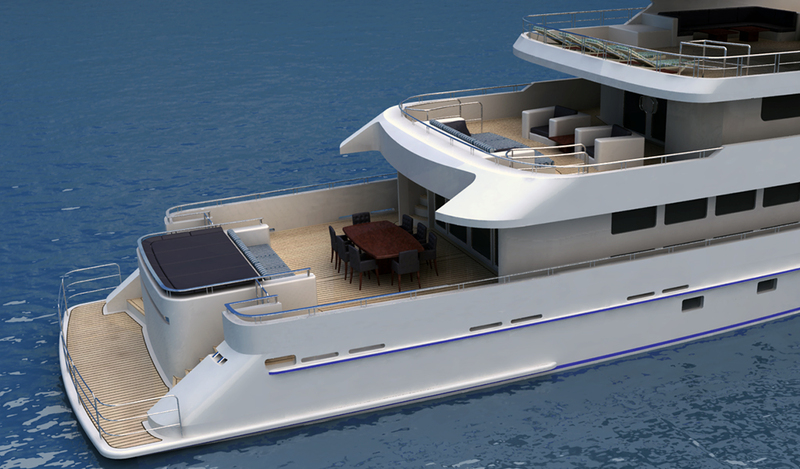 The forward positioning of the superstructure gives the yacht a modern explorer look with sleek lines. 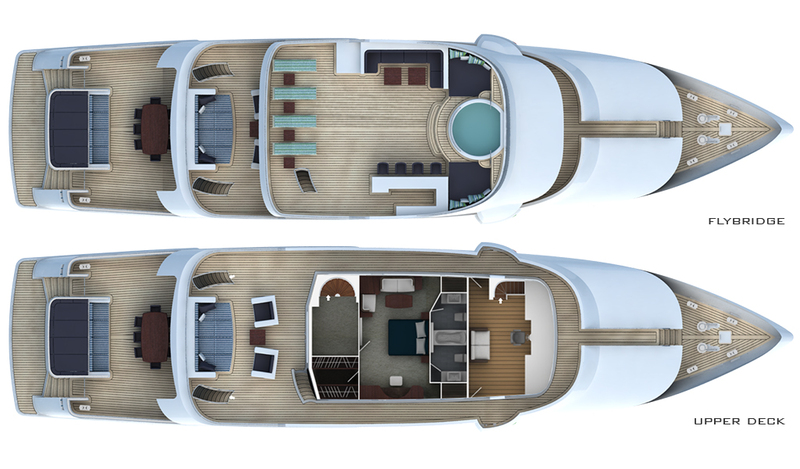 The yacht provides spacious exterior spaces both on decks and flybridge. 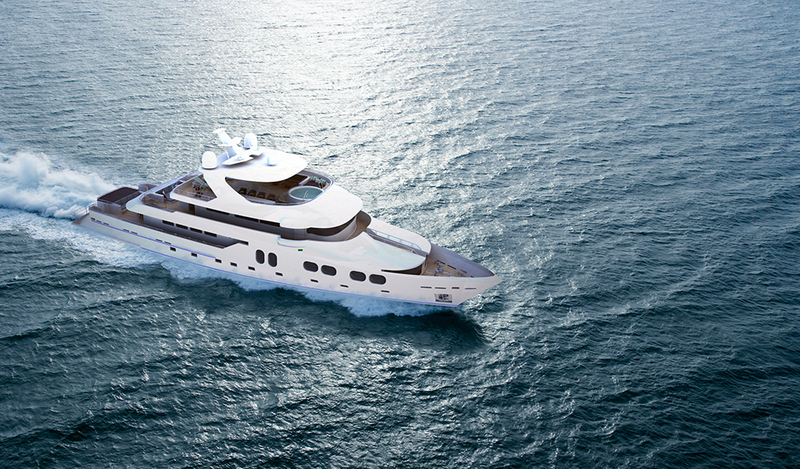 She can comfortably accommodate 10 guests in 1 owner stateroom, 2 master and 2 guest suites. 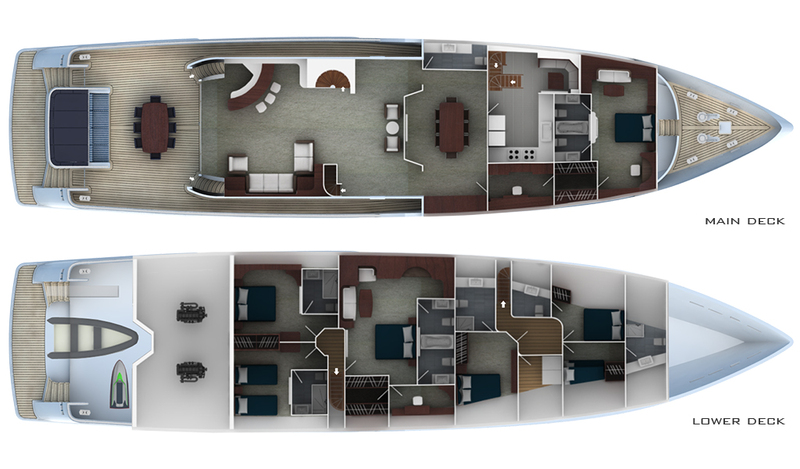 Owner cabin is located on the upper deck with private exterior space and one of the master suites is located on main deck up front.